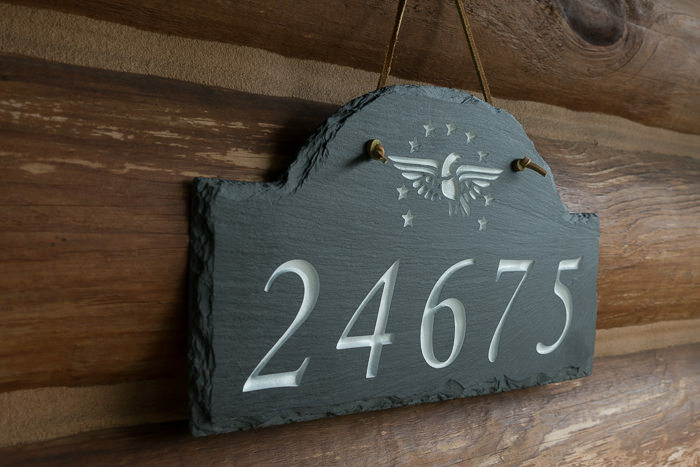 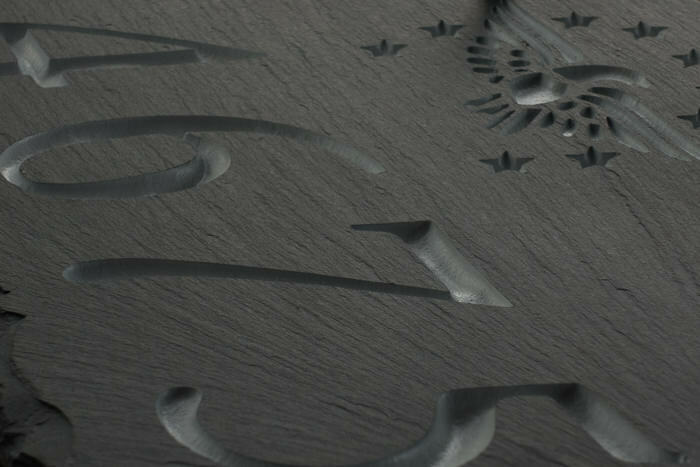 Hand Chiseled Slate Address Marker with Arch Top. 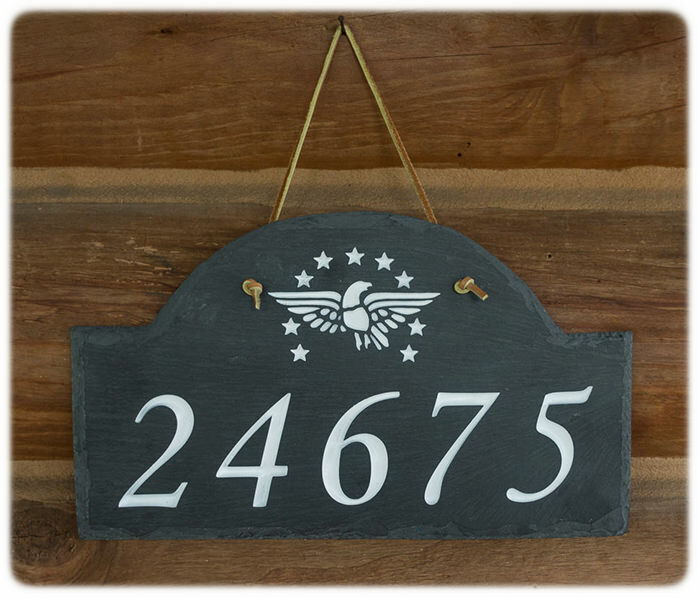 We will engrave your house number and graphic. 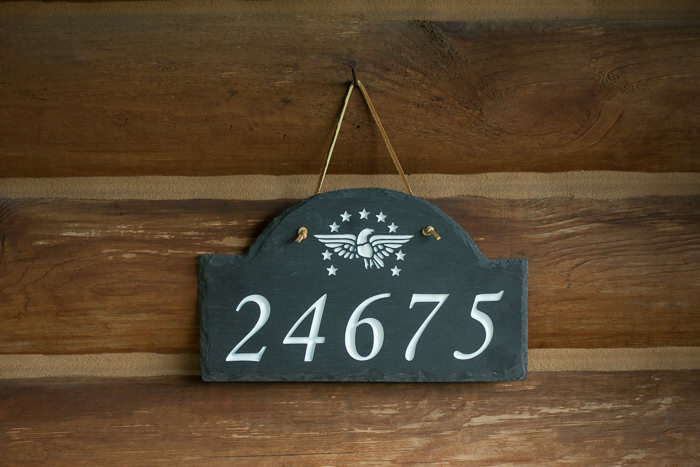 Ships from our location within 7 days.